This CODE OF ETHICS is set forth to protect, advance the interests of, and improve the Boxer breed; to maintain sportsmanlike competition at dog shows and events; and to promote a respect for people and dogs. American Boxer Club members are to adhere to these canons when breeding, buying, selling or competing with and exhibiting their Boxers. 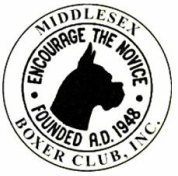 Members of the American Boxer Club will conduct themselves in such a manner as to reflect credit on the sport of purebred dogs and on Boxers in particular, regardless of the location or circumstances.